The man arrested as a suspect in the slaying of rapper Nipsey Hussle remained in custody today in lieu of $7 million bail, while Hussle’s longtime girlfriend broke her silence about his death. 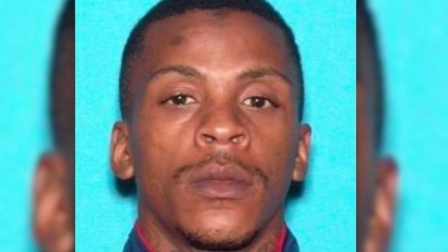 Eric Holder, 29, was arrested around 1 p.m. Tuesday in the 9000 block of Artesia Boulevard in Bellflower by Los Angeles County sheriff’s deputies after a witness called authorities to report seeing a person believed to be Holder. Sheriff’s deputies detained him outside a mental health facility, and Los Angeles police officers went to the sheriff’s Lakewood station and confirmed the man was indeed Holder. “Thank you to both our community for the heightened awareness/vigilance, and our partners at (the sheriff’s department),” the LAPD stated in a Twitter post. Holder is suspected of gunning down the 33-year-old rapper around 3:20 p.m. Sunday in front of The Marathon Clothing store the singer owned in the 3400 block of West Slauson Avenue in the Hyde Park area. A court appearance for Holder has not yet been scheduled. Los Angeles police Chief Michel Moore said Holder got into some type of personal dispute with the rapper outside the store, then left and returned with a handgun. Hussle was shot in the head and body and died at a hospital, according to police and the coroner's office. Two other men were also injured in the shooting, although one declined to be taken to a hospital. Moore declined to discuss the nature of the disagreement between Holder and Hussle but stressed the shooting appeared to be a result of that dispute, not any type of gang rivalry or feud. Law enforcement sources tell the celebrity news website TMZ.com that the LAPD was keeping Holder in solitary confinement, with authorities refusing to let him mingle with the general inmate population for fear that he’ll be attacked. The sources said he'll remain in solitary once he’s transferred to L.A. County Jail. Hussle’s longtime girlfriend, actress Lauren London, broke her silence about the rapper’s death Tuesday night, posting a message on Instagram along with a series of photos. “I am completely lost,” she wrote in the poem-formatted message. London, known for her work on “ATL” and “Entourage,” had been with Hussle for about five years, and the couple had a 2-year-old son, Kross. Holder has a criminal record that includes a 2009 arrest and charge of domestic battery against the mother of his child, The Blast reported. He pleaded down the battery charge by agreeing to complete an anger management treatment program and stay 100 yards away from the woman. He was also arrested in 2012 and charged with carrying a loaded gun. He made a deal with prosecutors and was sentenced to six months in Los Angeles County jail. According to court records, Holder was ordered not to “own, use or possess any dangerous or deadly weapons, including firearms, knives or other concealable weapons,” The Blast reported. The Los Angeles Times reported that the woman who was allegedly driving the car Holder left the scene in after the shooting surrendered to police, but the LAPD did not immediately confirm the report. Hussle transformed himself from a South Los Angeles gang member to a rap musician and channeled his success into efforts to help others stay out of gangs. He bought shoes for students, re-paved basketball courts and provided jobs and shelter for the homeless. Hussle helped renovate a Mid-City roller rink and redeveloped the strip mall that housed his Marathon Clothing shop where he was fatally wounded.